I am always amazed at Lisa Schroeder's books which are written in verse. They can convey so much emotion in so very little words. I would think it is next to impossible to get across a complete story with so few passages, but like a song, you get everything. There are two major twists to this story, ones that I have not seen in a young adult book before. The story is two lost souls meeting and understanding each other like no other has understood them before. Amber has been hit with some horrible news about her life and runs away to spend the day at the beach to understand what this means to her. She meets Cade, who is hiding his own life and death issue and is trying to capture one last day on his own. The two come together and give each other strength to get through their issues together. There I did it -- no spoilers! I received this book at no expense from Around the World ARC tours in exchange for my honest review. 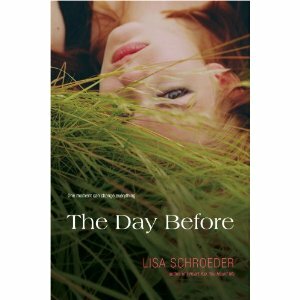 I LOVE Lisa Schroeder's books, so jealous you have read this one already and it sounds great, oh excited to read this one when it is released. Haven't read her yet, but I enjoyed your review and will look for this one. I like the sound of this one. Another one added to my wishlist.